With Christmas just around the corner and with the Black Friday sales still haunting us, it can be easy and tempting to shop the biggest and latest brands this holiday. But here at Devonshire Tea there's nothing we love more than shopping locally — not only are you able to find gifts that are of great quality, made with loving care, and even bespoke, but you are also showing appreciation and support to those creative businesses right around you. Dartmouth isn't just one of our favourite places to escape to, it's also home to an abundance of nifty food & drink businesses. 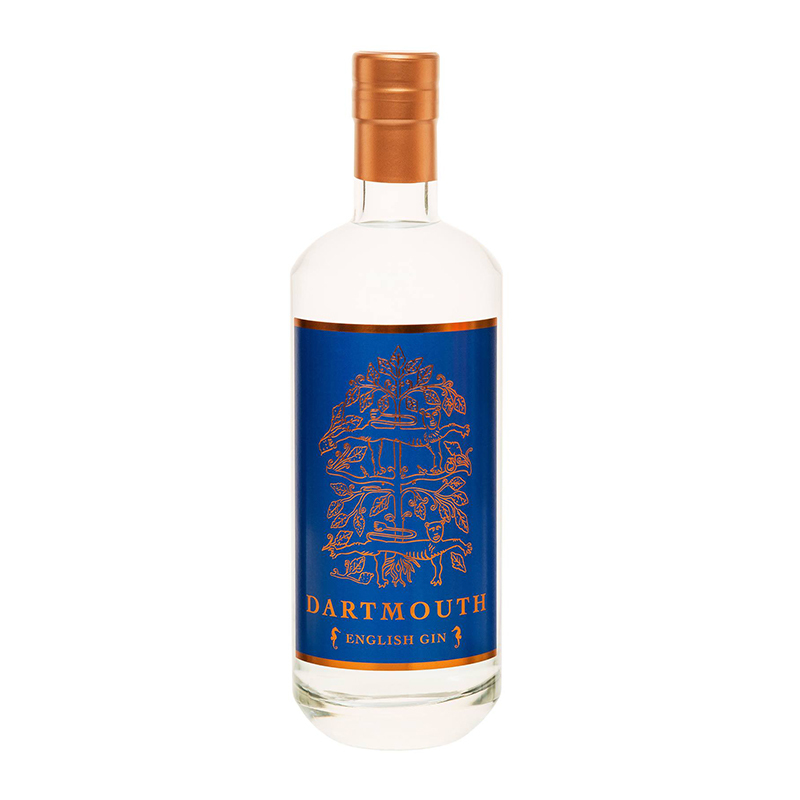 Made in Dartmouth using the finest botanicals from around the world, the award-winning Dartmouth Gin is a smooth yet refreshing tipple for any gin lover. Perfect served neat or mixed with tonic or in a cocktail, this is a perfect gift to showcase Dartmouth! Let's face it, it can be a bit of nightmare having to dress the whole family – it needs to be fashionable, practical and of good quality, and it can pretty painful trying to find a brand suited to every age. Lazy Jacks — originally created in Teignmouth — is the perfect casual fashion brand for the whole family. From their classic Drill Shirt to children clothing, their range is full of bright and fresh nautical colours, giving Lazy Jacks its distinctive style which we love! For the interior obsessed, the Nkuku store just outside of Totnes is packed full of rustic homeware and wonderful lifestyle products. Although now known worldwide, it was in Devon where the business began and where artisans came together to create bespoke pieces with inspiration from around the world. We can’t help but pop into their shop now and then, just for a little something! For anyone who needs a little TLC this Christmas, The Oil Hut is a family-run business based in Devon offering luxurious and handmade natural products ranging from bath oils and face mists to in-home diffusers. We love the look of their Christmas Spice diffusers! Nothing says Christmas like a some comfort food from home! 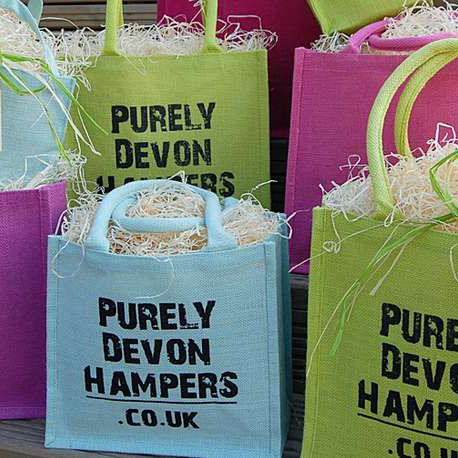 Our friends over at Purely Devon Hampers create a number of hampers stocked full of delicious Devon treats. They even offer a "create your own" hampers, an ideal gift for those food & drink lovers who crave a bit of Devon delight now and again! 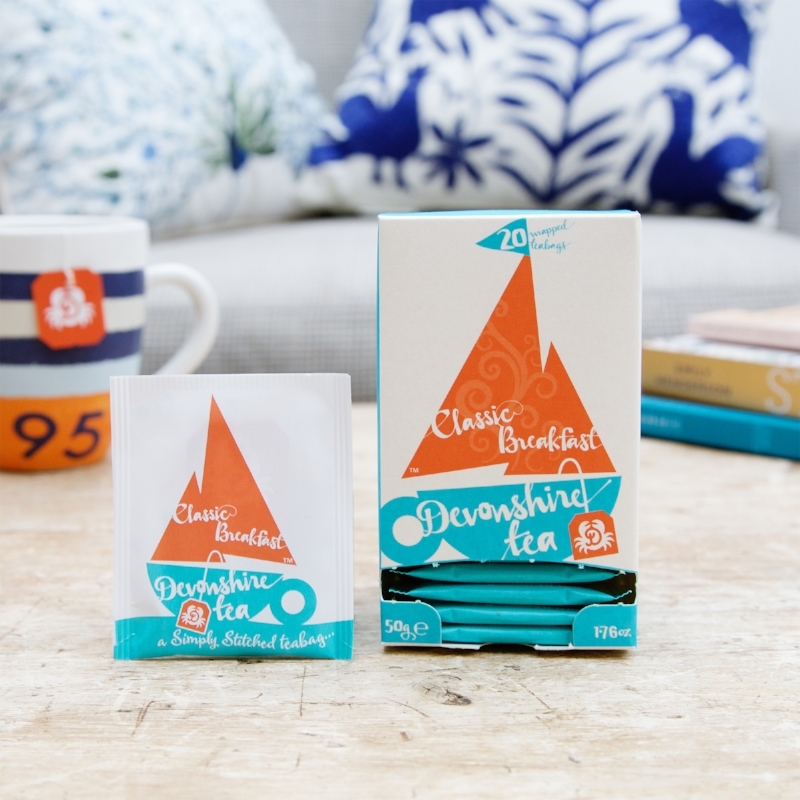 It’s pretty evident that there’s little that can’t be made better with a fresh cup of Devonshire Tea. Whether it’s at the crack of dawn before the morning rush or midday with a biscuit (or two), our various blends allow you to have a wonderful little moment to yourself with high-grade tea in our individually-wrapped “stitched” teabags. The kids are back at school, the nights are drawing in, and the heat wave is well and truly over. The transition from summer to autumn can be bittersweet — you've had a summer full of fun, yet you know winter is just around the corner and the thought of cold winds, jackets, hats and scarves make you feel just that bit grey. Don't panic, just making a few simple tweaks to your routine will help you feel relaxed and ready to take on the colder months ahead. As soon as the holidays are over often we feel the need to head straight back into work and stress mode, but it’s worth planning a day or two of transition time to help you catch up with yourself. Whether that means getting over jet lag or sorting that pile of washing that's been lying around for weeks, it will also make that big “to-do” list in your head a little less daunting. During the summer we tend to spend a huge amount of our time socialising, which is great, but that tends to be with people we don't see often, such as long-distance relatives and friends. Getting back into a routine of meeting up with local friends, family, and social groups such as weekly yoga or Pilates class is a great way to help kick-start a more social normality again. There's nothing wrong with going a little off-track when it comes to holidays, which we're all guilty of. However, it’s important to get back into a healthy routine as soon as possible as it helps adjust back to normality more quickly. This doesn’t have to mean an intense 2-hour gym session every day — we know how tricky it can be to fit these things in and, let's face it, the thought of having to go to the gym on a cold drizzly morning after 6 weeks of sunshine doesn’t sound all that pleasant! Daily dog walks or a gentle jog on Dartmoor can be just as beneficial, especially when you get a routine going. Getting back on track by taking daily vitamins and supplements will also help yourself and your families body to adjust and help build up the immune system ready to fight those dreaded winter colds. With family holidays and long weekends away from home, the house becomes unused which can make the atmosphere feel a little stale. With the kids back to school, this is the perfect opportunity to give the house a bit of autumnal attention. Incorporating flowers into your home is one of the easiest ways to transition into any season. Flowers such as Dahlias and Chrysanthemums are the perfect Autumnal flowers and will look perfect on any coffee table or mantelpiece. Finally, this might seem like an obvious one, but it's super important to allow yourself a good amount of sleep every night to help regulate your pattern. Not only will it provide you with higher amounts of energy, but a much calmer mindset too. We are all guilty of checking emails and social media whilst tucked up in bed, and it can leave us feeling worried more often than you might realise, making it harder to fall asleep. Disconnecting from technology one hour before bedtime allows our mind to start relaxing a lot more quickly. So why not try swapping the phone for a good old book — we are currently loving Sarah Knight’s “You do You” book and a cup of Devonshire Tea Delightful Afternoon. Visit our Shop to see our full collection and use the code "AutumnRoutine" to Save 10% at checkout! 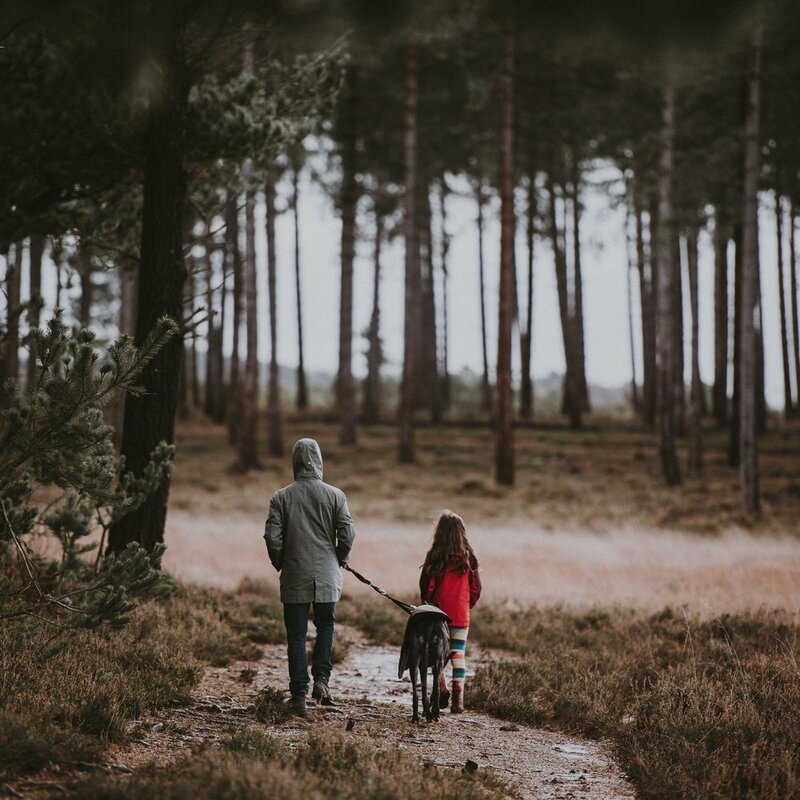 Here at Devonshire Tea, we love almost anything associated with the outdoors, especially when it comes to wildlife, however, it’s easy to forget how much of a significant impact they have on ourselves and the environment. We would be lying if we said we didn’t have a soft spot for our Honey Bees. 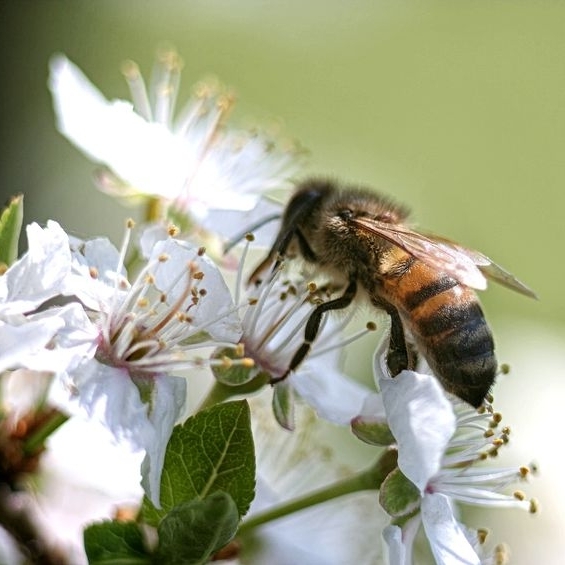 Honey Bees are awesome little creatures, known for pollinating a third of the world’s fruit and vegetables. Whether you have small or big plot to work with, there are a number of plants that can help benefit the bees. Herbs are a great place to start, easy to plant, look after and are a huge energy source for our bees. Certain herbs such as Chive, Sage and Rosemary being especially beneficial and perfect for the Summer into Winter months. Yes, you read that right! Many weeds such as dandelions are an excellent source of food for bees. In the colder months, these can be the only source of food and not just for bees but for many insects also. They might not look so pretty but they help the wildlife through the winter months and hey, you now have valid excuse to drop the weeding job! This pretty important and really easy too, especially recently with the drier months. Simply leaving a small bowl of water on a balcony on in the corner of your garden helps bees get all the water they need during the warmer days. This might come as no surprise but here at Devonshire Tea, we are all about supporting and buying locally especially when it comes to honey, used as a substitute for sugar in our tea and on our morning porridge. When buying local honey you are supporting local beekeepers as well as their bees! All raw honey, unlike pasteurised honey, comes straight from the hive is unheated, unpasteurised and undiluted which means it retains all the antioxidants, vitamins, minerals and delicious flavour! We love Devon Flower Honey from From Field and Flower. 5. The fewer pesticides, the better! Try to eliminate the use of pesticides within your garden, especially on the plants that attract bees. 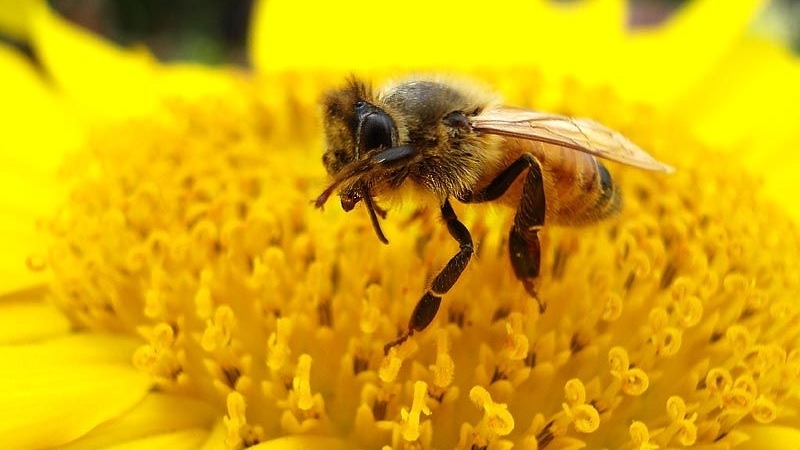 They are harmful to humans as well as bees and it’s known to be one of the main causes of the decline in bees. Interested in finding out more ways to help protect our wildlife? Head over to www.friendsoftheearth.uk for campaigns and general information.